On Saturday, Aberdare’s Morgan ‘Sexual Chocolate’ Jones (11-0, 4KO) has a chance to impress on Matchroom Sport’s show at the O2 Arena. It won’t be included on the main Sky Sports broadcast but could be shown on their live Facebook stream. The super-middleweight, who was born in South Africa, will face South African champion Jade Karam (9-3-2, 4KO) over eight rounds. It will be Jones’ first fight since splitting with Newport-based trainer Tony Borg, having recently linked up with Lee Beard who he trained with as an amateur. Elsewhere on the same night, part-Welshman Josh ‘Outlaw’ Wale (23-9-2, 11KO) fights at the Doncaster Dome. The 29-year-old will contest the British bantamweight title, his career goal, against Scotland’s Jamie Wilson (10-1, 1KO) on the non-televised show, promoted by Stefy Bull Promotions. Blackwood’s Craig Evans (17-1-2, 3KO) has risen to #7 in the recently updated WBO world lightweight rankings. It comes following a successful defence of his WBO European title against Ireland’s Stephen Ormond (24-4, 13KO) on away soil in Belfast. The Welshman secured a Unanimous Decision courtesy of 99-89, 97-91 and 96-93 scorecards after navigating Ormond’s roughhouse tactics, dropping his exhausted body twice in the final round. Another Blackwood native, 22-year-old Kody Davies is set to turn professional after a successful amateur career that saw him represent Wales and Team GB on the international stage. He will drop down from heavyweight to compete as a light-heavyweight in the paid code under the guidance of new trainer Gavin Rees – the former British, European and world champion. Next Saturday, Cwmcarn’s Jamie Weetch (9-2, 4KO) is back in action on his Australian adventure. The super-welterweight will take on Brisbane’s Will Parson (8-2, 2KO) in an evenly matched bout to headline the Western Alliance show at Perth’s Empire Function Centre. 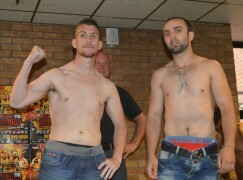 Aberdare’s Dorian Darch (12-5, 1KO) will rematch Tom Little (9-4, 2KO) over six rounds on 15 July. The heavyweights first met in 2014 with Darch dropping Little on his way to a competitive decision win. This time, they will clash at the iconic York Hall in London, where Essex native Little will own home advantage. 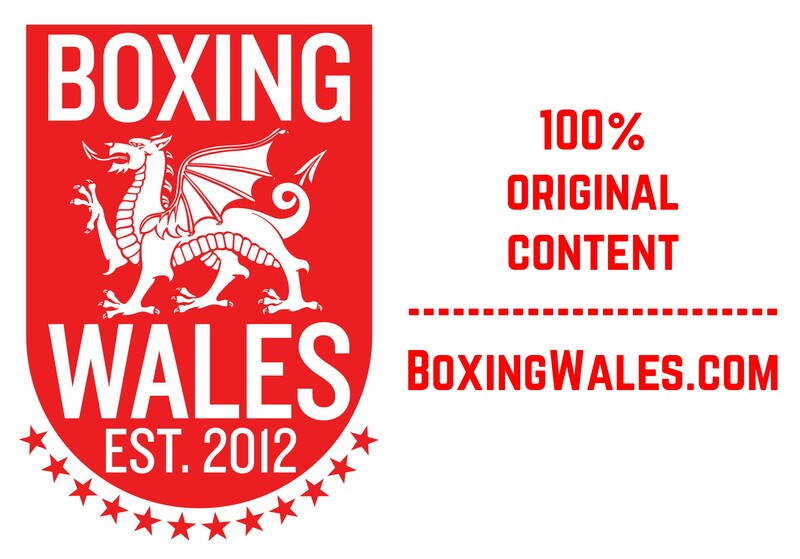 Mo Prior’s Welsh Fight Academy are scheduled for their second show on Saturday 22 July. Earlier this week, they switched the location from the Brangwyn Hall in Swansea to the city’s LC2 venue. 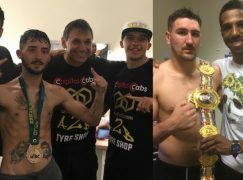 It will still feature the likes of Commonwealth flyweight champion Jay Harris, Chris Jenkins, Alex Hughes, Zack Davies, Lee Churcher, Ricky Owen and more. Eddie Hearn’s Matchroom Sport are very likely to be visiting Cardiff in September, ending their three year absence from Wales. It will be another installment of their recently launched JD Next Gen series, which showcases their stable’s up-and-comers. The promotional outfit currently boasts the likes of Cardiff’s Olympian Joe Cordina and Newport’s Commonwealth Games gold medallist Sean McGoldrick. Hard-hitting super-middleweight Jamie Cox (22-0, 12KO) has been confirmed as an entrant in the World Boxing Super Series. The southpaw, whose mother is Welsh, turned professional 10 years ago and has been searching for a breakthrough opportunity like this. WBA world champion George Groves has also entered the tournament, along with Tyrone Zeuge and Erik Skoglund. Initially, Cox had agreed to challenge British champion Rocky Fielding but that has now been scrapped. 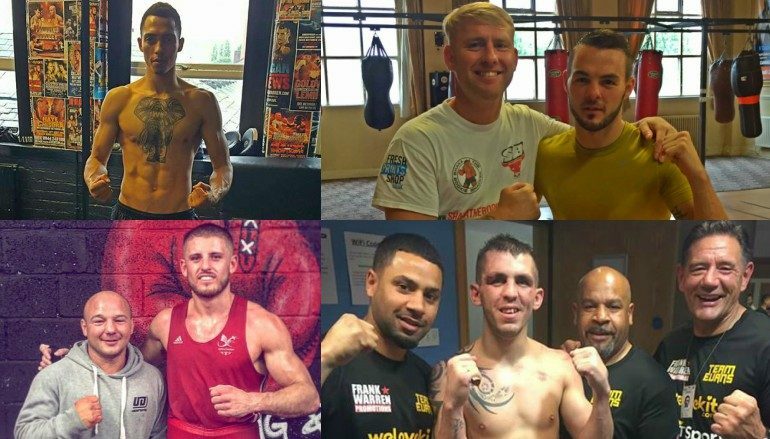 Last weekend, there were mixed fortunes for a pair of Welsh middleweights in separate four rounders on Sanigar Events’ show at Ashton Gate, Bristol. Newport’s Daniel Barton (1-0-1, 1KO) battled to a bruising 38-38 draw with Anthony Fox (1-8-3) and Aberystwyth’s debuting James Davies (0-1) was beaten by Aaron Sutton (2-0), courtesy of a 40-36 scoreline. 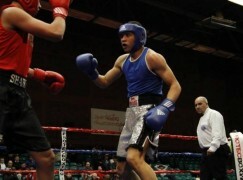 The unbeaten five-fight run of Cardiff’s resurgent Henry Janes (10-21-2, 1KO) recently came to a close in Manchester. The lightweight was beaten on points against 2008 Olympian Joe Murray (21-2, 9KO) via referee Mark Lyson’s 78-74 margin. Janes was down in the fifth round and Murray was deducted a point for holding in the sixth round. A fortnight ago, WBC President Mauricio Sulaiman was in Cardiff Bay to launch the National Assembly Cross Party Group on Boxing, which will be chaired by Neil McEvoy AM.